This is a beautiful bowl. The colors are very pure and it is very well made. Small so would fit anywhere. 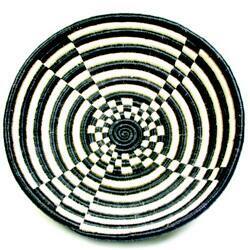 This Indego Africa plateau basket features striking colors and traditional motifs. These fair trade African baskets are handcrafted with needles and Imigwegwe plant threads by the women of Covanya cooperative in Rwanda. Indego Africa began its partnership with Covanya, a weaving cooperative with 43 members in Nyamata, Rwanda in August 2007. 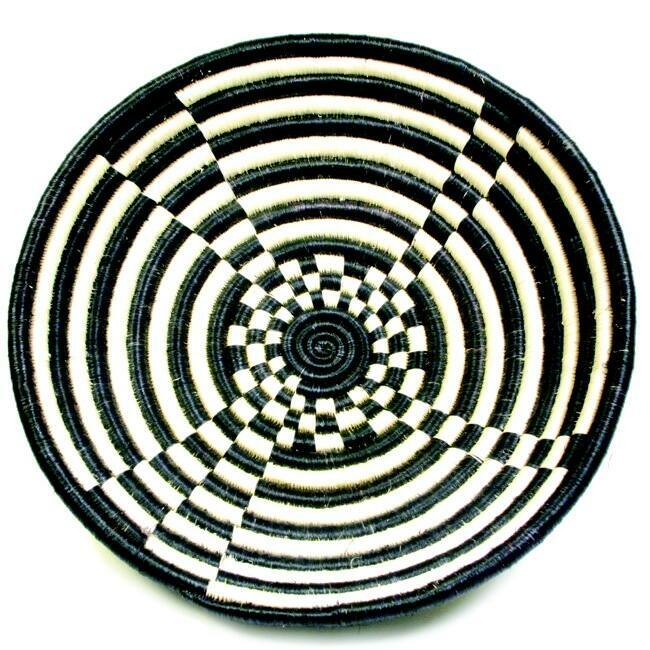 The women at Covanya weave the stunning plateau baskets, which can take 4 to 5 days to make and require constant attention to detail. Before partnering with Indego Africa, more than 85-percent of the women at Covanya supported an average family of six on 0.50 per day. They now earn four times that much. Indego Africa returns 100-percent of its profits from sales and donations to its partners in order to run culturally-tailored training programs in business management, entrepreneurship, computer skills, and literacy.